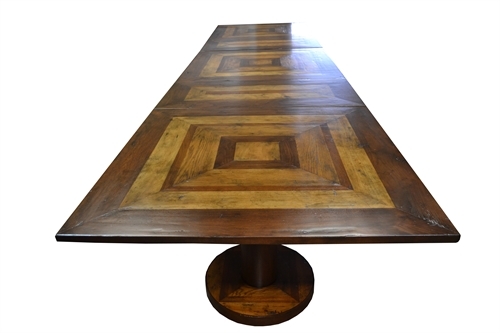 The Multiframe Dining Table is designed to be used as three separate tables, joined into a set of three if a 12' piece is needed or connected with leaves for an impressive 16' long table. It's made in solid mahogany, walnut, maple and oak in a distressed durable finish. Custom designs, woods and finishes are available.